Generous Donation Jumpstarts Our New Green Watts for Good Initiative! We are happy to announce that two local philanthropists, who wish to remain anonymous, have generously donated $6,500 to our Green Watts for Good Fund, fulfilling our goal to install a 4-kilowatt PV system on a demonstration home! Our goal now is to raise another $6,500 through our Green Watts for Good Campaign during Omaha Gives’ Sixth Annual Charitable Challenge! Nebraskans for Solar is an all-volunteer organization, and so 100% of Omaha Gives contributions will go toward our major goal to establish a revolving account in an effort to provide clean, abundant green energy. We will partner with local nonprofits, like Habitat for Humanity of Omaha and others, not only to protect our environment, but also to save families money through solar systems. Omaha Gives’ Sixth Annual 24-Hour Charitable Challenge presented by American National Bank is set for May 23, 2018. The giving begins at midnight with a minimum $10 donation and hourly drawings and prizes that make your donations go further. Schedule donations at Omaha Gives.Org by May 22, and they will be processed on May 23. Make your donation on May 23 from 12:00 am through 12:00 am May 24. Many thanks to local solar energy enthusiasts who wrote testimonials! Please share widely with family and friends and help us spread the word! Thank you from all of us at Nebraskans for Solar! 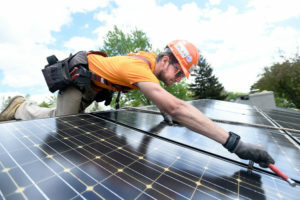 This entry was posted in Nebraska / Midwest News and tagged Green Watts for Good, Nebraskans for Solar News/Blog, Nebraskans for Solar's New Green Watts for Good Initiative, Omaha Gives' Sixth Annual Charitable Challenge on May 9, 2018 by Helen Deffenbacher.